at PetSmart. It is something that I’ve always thought would be fun, but never really stepped up to volunteer. I have the problem of falling in love with all dogs. If you give me a dog in need of a loving human, well, I’m a goner. Still, it is so worth a few hours on the weekend to enjoy dogs of all sizes, shapes, and stories. We leash them and walk around the shopping stores and inside the PetSmart. I admit that I am not a fan of shopping UNLESS it is a pet store. I love browsing every aisle and watching the birds, gerbils, and lizards. Lead me down the dog clothes or toys aisle and I am in puppy paradise. Bringing the pups inside the PetSmart allows the shoppers to speak and admire them. Many wonderful people left donations as they left the store. The dogs that I am featuring today were at the adoption days I’ve attended. For some reason they were not adopted. There is one exception to that statement. My friend Batman was adopted on the first day I shared with him. I was so happy. He is such a gentle snuggle boy. Obviously, when given the opportunity Batman enjoyed tormenting the new owner’s senior cat. 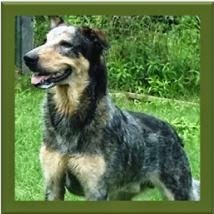 It makes sense that he would be eager to play now that he had a secure and loving home. The cat did not see it that way and insisted Batman be returned. After two weeks, a tearful new owner brought him back to PetSavers. When I arrived for Sunday’s Adoption Day, there that sweet fellow was shaking and bewildered. That's right...Batman Returned! I put his leash on him and began walking and talking to him. Batman told me the cat had no sense of humor and he was not going to hurt it. He had been to the groomer’s and is rockin’ a new Cocker-type cut. It broke my heart that this adorable loving boy didn’t get to stay in his home. I just don’t have the time to add another dog to our family right now or he would be here. There is no way that I would be a successful foster mom. I felt attached to Batman after a total of eight hours together! If you know anyone looking for an adorable 2-year-old Cocker Spaniel mix with a loving disposition, please send them to meet Batman. Jodi’s arrival at PetSavers seems so unfair. He was adopted 5 years ago as a puppy. His girl is going away to school and decided she didn’t want him anymore. She did do the right thing and return him to PetSavers, which is one of the things they ask of adopting pet parents. Sadly, he was returned covered in fleas. This resulted in a loss of hair, but he is doing fine. I think a great conditioning shampoo such as K9 Kelp would work miracles on his coat. He gets along with kids, adults, other dogs, and doesn’t mind cats. Since being back, Jodi has been neutered and is up-to-date on his shots. October is Adopt A Shelter Dog month, but every month is a great month to adopt a shelter dog. If you can’t adopt, volunteer at your local shelter. It is not depressing and you are making a difference in the day of homeless pets. Is your schedule too tight for volunteering? Donate supplies such as cat litter, dog treats, dog and cat canned food, bleach, dish soap, laundry detergent, and money is always accepted. The reason for the canned food is when a dog or cat first arrives they are scared, confused, and out of sorts. This can cause them to be skeptical of feeding time. Most of them are more accepting of canned food for the first few feedings. Always check with your shelter to see what they need the most. We are joining hosts, Dogz‘n Pawz and Talking Dogs for Tuesday’s Tails blog hop. 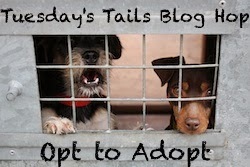 All of the participating blogs are featuring and sharing adoptable dogs, cats, and other pets. Please visit the other blogs to share the other homeless pets. Batman, Jodi, and Bobby would appreciate you spreading their cute mug shots on all of your social media sites. PetSavers phone number is (318) 636-0400. They are located at 4380 Noyes Dr. in Shreveport, Louisiana. 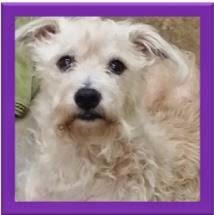 Visit their Facebook page here to see more adoptable pets and success stories. Hooray for those who have found homes and good luck to all those looking we say. Have a terrific Tuesday. Oh no :( Poor sweet Batman! I was so happy when you shared that he had been adopted! It wasn't meant to be though and I know him and the rest will find furever homes! We LOVE that PetSmart does this... we have been to the one near us when they were having Adoption Day... it was SAD and yet WONDERFUL... We actually saw one lucky boy being adopted. That's so sad... poor Batman... I will share this post and I hope Batman will find his furever Robin and all other pups who need a home will find it. Thanks so much for sharing these cute guys!! We hope that they find their furr-ever homes real soon!! We wish all doggies could find their furever home! BTW, we don't have any news tips for Bentley 'cept for we found out we have super hero powers. We's just prepping for the Halloween pawty at Dory's and then the Town Hall meeting. Oh poor Batman - there's something about him that makes me feel like I would get attached really easily as well, he just has a special spark in his eyes. I hope he finds another home soon where he will fit in better. Jodi & Bobby are gorgeous, let's get all 3 adopted into loving families. Sharing. Oh, poor Jodi. It just breaks our hearts that someone would decide they "didn't want" any more. And -- covered in fleas? Here's hoping for a happier tomorrow for Jodi. Oh, Luke likes to terrorize our senior cat as well, but even at 16-17 years old, Conrad gives it right back to him! It's too bad it couldn't have been the same for Batman. I hope he gets a new home soon, along with the others. I think it's great that you volunteer, that is a wonderful thing to do. That is a good tip about the canned food, I will remember that next time I'm getting things together for my local shelter. We wish them lots of good luck in finding new homes! I feel bad for Batman. Hopefully this is just a bump in the road to his new forever home. I hope Bobby and Jodi find homes soon. I hope these precious guys get a new home soon. I love what you put at the end about saving two lives. Poor Batman and Jodi :-( At least they came back to PetSavers. Sharing all three. They are all three precious. 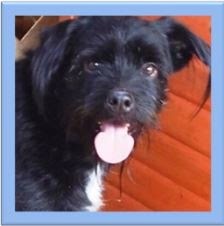 Wish Batman could have stayed at his new home and poor Jodi:( Sharing.